Hello to the awesome-est readers in the universe!!! Today I have something very fun and colorful for you. 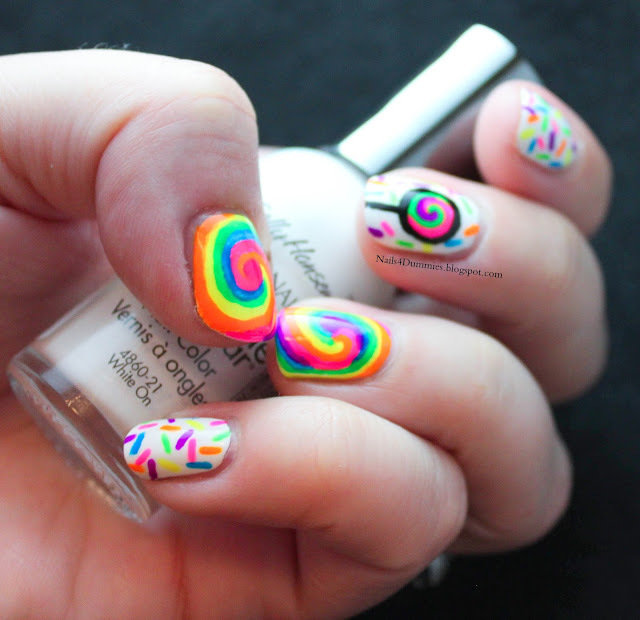 I've been finding a lot of inspiration on HannahRoxNails on YouTube. I just love the way she explains nail art and makes it sound like something I could actually attempt! Too many of the designs I see are so intimidating but she really makes them do-able for anyone - even ME! 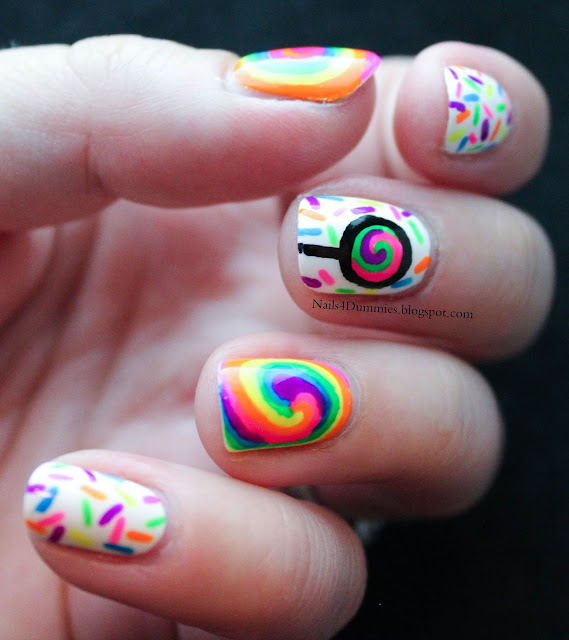 This design is based off of her Lollipop and Sprinkles Nail Art video. 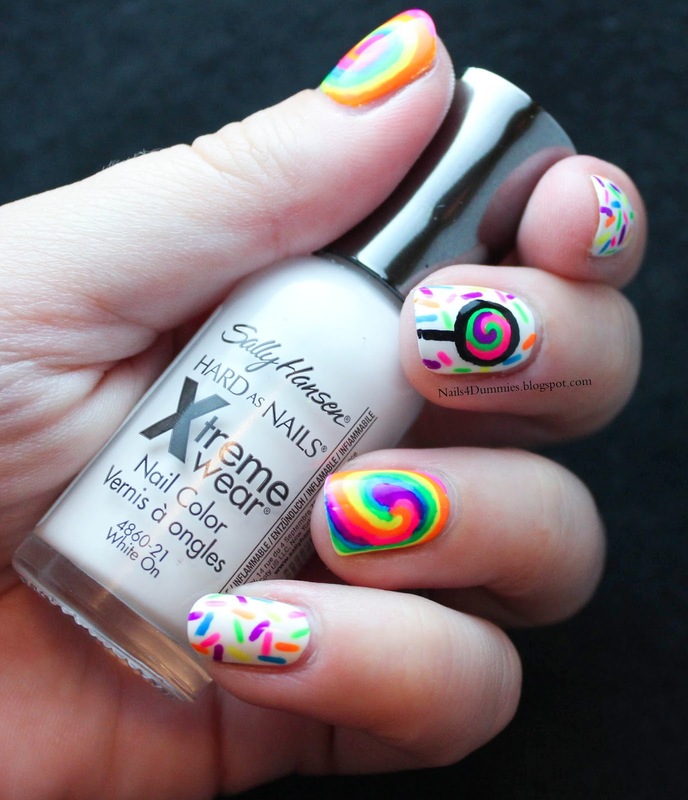 I started with a base of Sally Hansen X-Treme Wear - White On and the rest was done with acrylic paint. This was really a lot of fun too do and honestly wasn't too difficult! I'm very happy with the way it turned out and it makes me want to be even more adventurous! I highly suggest you go check out her channel and try one of the designs, I think you'll be pleasantly surprised at how easy it is!